Can My Baseball Hat Go in the Washing Machine? 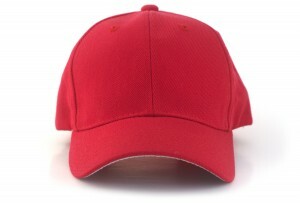 Many of us wear baseball caps for such a wide variety of tasks that it’s not uncommon for them to become stained with sweat or dirt. From yard work to jogging, baseball caps can be used through it all. So, what is the best way to wash your hat and can it go in the washing machine? Brim of hat (plastic brims can be washed well; however, cardboard brims can be damaged from being washed). If you are going to wash your hat in the washing machine, use cold water and the most gentle wash setting. Prior to washing a hat, check the manufacturer’s tag for washing instructions. If you’re dealing with a stained hat, make sure to apply prewash before tossing the hat in the washing machine. What’s the Best Way to Dry My Hat? It’s important when drying the hat to never put it in the dryer! Placing your hat in the dryer will cause it to shrink and lose its original form. It’s best to let your cap air dry. To avoid your caps losing its shape after being washed, use some type of form to help the hat keep its shape. Whether this is placing it over a canister, on your head or some other object, try to find something circular that it can dry on, to best retain the original shape of the hat.